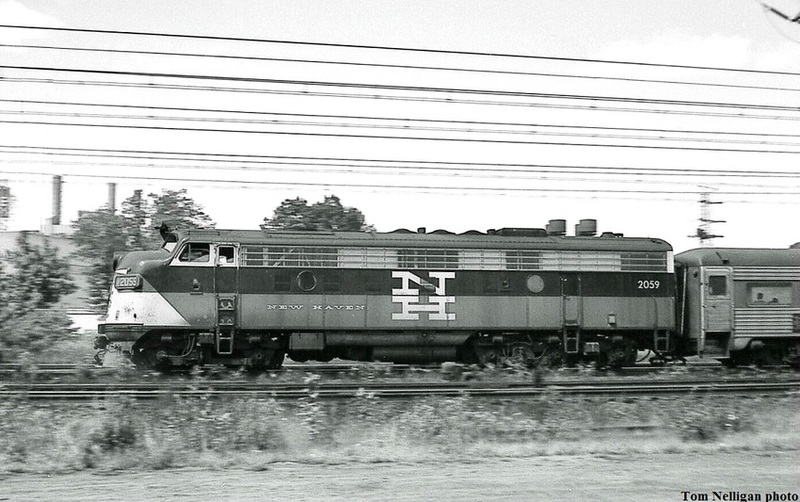 New Haven FL9 2059, delivered in 1960, was the last of the thousands of F-units built by EMD. Here it speeds through Devon, CT, on its way to Grand Central Terminal. Note the weedy condition of the main line in 1967. Photographed by Tom Nelligan, June, 1967.